Mills & Mahon are specialists in Tax Services, both for individuals and for businesses. Serving our communities in Pinellas County and in the Tampa Bay Metro for many years, we have established ourselves as a preeminent CPA firm committed to the financial success of those we support. Our philosophy in preparing your business tax return is to pick up where you leave off. If you are skilled at bookkeeping, you can just provide us with up-to-date books of account and we will use that information to prepare your return. Or you may just choose to bring us a box of various transaction documents. In such a case, we will summarize those transactions into books of account for use in preparing your return. Or, if you’d like to be actively involved, we can work together with you to establish your books of account. Prior to scheduling your appointment, we provide you with a Tax Organizer that you can use to assist you in gathering the documents necessary for the accurate completion of your return. When you come in for your appointment, one of our CPAs will review your information and answer your questions. Your return is then prepared, reviewed and finalized. And…we will file your return electronically, for speedy turnaround, if so desired. After the tax filing season we are available to answer any questions that may arise or to provide other services that you find beneficial. We prepare tax planning reports and projections to better help you to manage your tax situation and avoid paying in too much or too little during the year. 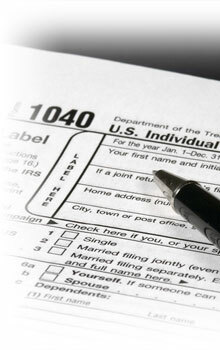 Feel free to download some of our Tax Forms to help you. Given the complexity of tax laws, individuals greatly benefit from use of our firm to maximize your deductions and minimize your tax payment. For businesses, we can do bookkeeping updates (if needed) and file both your business and personal tax returns. We do as much or as little as you require for your unique circumstances. IRS Audit Representation: we make sure your rights and responsibilities are adhered to and that your tax bill (if any) is minimized. Non-Filed Tax Returns: we help you come into compliance with the law by filing previously non-filed returns on your behalf, while still helping you maximize your deductions. Non-Payment Of Taxes Owed: we will help you if you had previously filed your return but failed to pay taxes owed, whether or not the IRS has yet to notify you of penalties due. IRS Payment Plans: we will work with you and the IRS to come to a payment program that minimizes penalties due, both present and future. Innocent Spouse Relief: if your spouse or ex-spouse has put you in an unjust situation for which you had been unaware, please contact us to work on your behalf with the IRS.